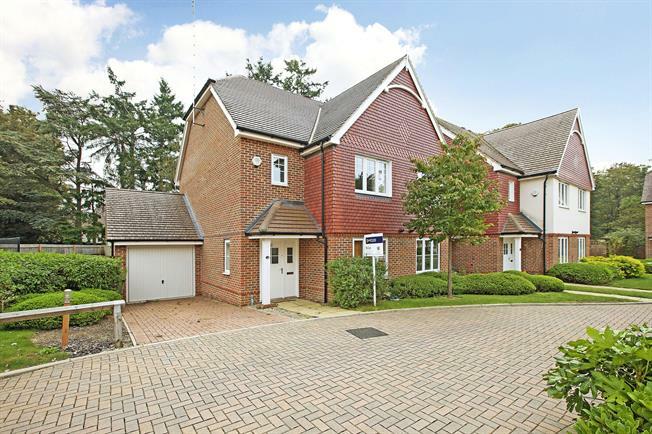 3 Bedroom Semi Detached House To Rent in Gerrards Cross for £2,250 per Calendar Month. This lovely three bedroom property is located over three floors and is located within a gated community. Accommodation comprises: Hallway with wooden flooring, fully fitted kitchen and dining area, cloakroom, large living and dining room with doors out to garden, master bedroom with en-suite bathroom, family bathroom, further double bedroom, stairs up to guest bedroom with en-suite shower room, front and rear gardens, garage, driveway parking. Regret no pets.